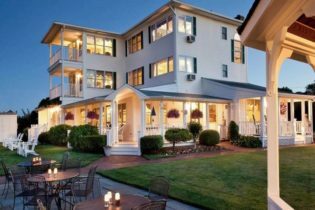 Located one block from the beach on the Connecticut shoreline in quaint Westbrook, the Captain Stannard House Bed & Breakfast Country Inn welcomes singles, couples, families, business travelers, and groups to our beautiful, spacious inn. Relax and indulge in a massage, or visit one of the nearby casinos or Chamard Vineyards for a wine tasting & tour. Your room awaits! 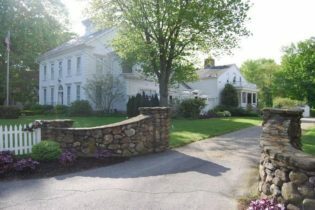 Enjoy the finest accommodations a bed & breakfast can offer at Captain Stannard House Country Inn in Westbrook, CT. Our spacious common areas, lovely gardens, warm and inviting dining room, charming guest rooms, and spectacular South porch were each designed to provide the relaxing, rejuvenating vacation you deserve. 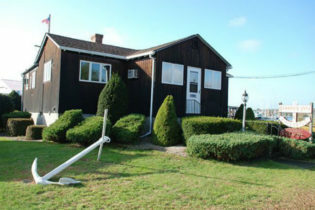 Located in the quaint Long Island Sound shoreline village of Westbrook, Connecticut, the Captain Stannard House is close and convenient to antiquing, beaches, outlet shopping, casinos, Mystic Seaport, and a host of other attractions. Your visit to the Captain Stannard House will bring you to a beautiful section of the Connecticut shoreline. The Captain Stannard House is truly an inn for all seasons. Enjoy the lovely beach (just one block away) in Summer, magnificent New England foliage in Autumn, and escape for that romantic getaway in Winter and Spring. 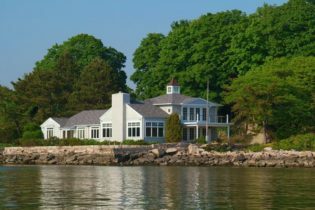 After your stay with us, you will have found your own home away from home on the Connecticut Shoreline. The Inn at Harbor Hill Marina Bed & Breakfast is an award-winning, beautifully restored, 16-room inn, and a proud member of Select Registry and Distinctive Inns of New England, two groups who showcase and promote Luxury Inns throughout New England and the country. The inn is located on the southeastern Connecticut shoreline and is situated on a hill overlooking boats in our marina, and is walking distance to the many shops, restaurants, bars and cafes on Main Street in the downtown village of Niantic. We are also a short walk to the town’s mile-long Boardwalk which overlooks Long Island Sound, and three local beaches. The Main Inn features 9 guestrooms that virtually sit atop of the Harbor Hill Marina and the Niantic River while the 7 newest guestrooms at the Captain Clark House offer a bit more of a luxurious experience with amenities such as king beds, soaking tubs, gas fireplaces and private balconies. Ideally located in the quaint village of Stony Creek, this secluded luxury B&B features magnificent views of the Thimble Islands and Long Island Sound right at your doorstep. 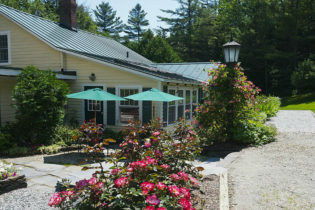 It’s a perfect location for romantic couples, families and business travelers to relax and enjoy the beautiful Connecticut shoreline, 12 miles from New Haven and 75 miles from New York. Town beaches, scenic village greens, quaint shops, nature walks, boat tours, hiking trails, fine restaurants and the vibrant cultural life of New Haven and Yale University are just minutes away. 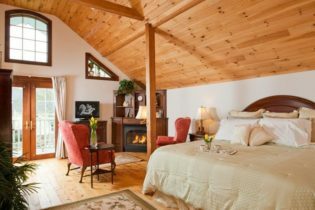 Thimble Islands Bed & Breakfast offers two elegant guest bedrooms with private baths. You don’t even have to lift your head off the pillow to enjoy glorious water views! Amenities include a spacious living room with fireplace, dining room, family room with HD plasma TV, wireless internet, screened porch, large garden terrace, 30-foot pier, and parking. The room rate includes a full custom breakfast with extensive menu choices and complimentary wine & cheese in late afternoon. Innkeepers Tony and Julie Broom warmly welcome you!